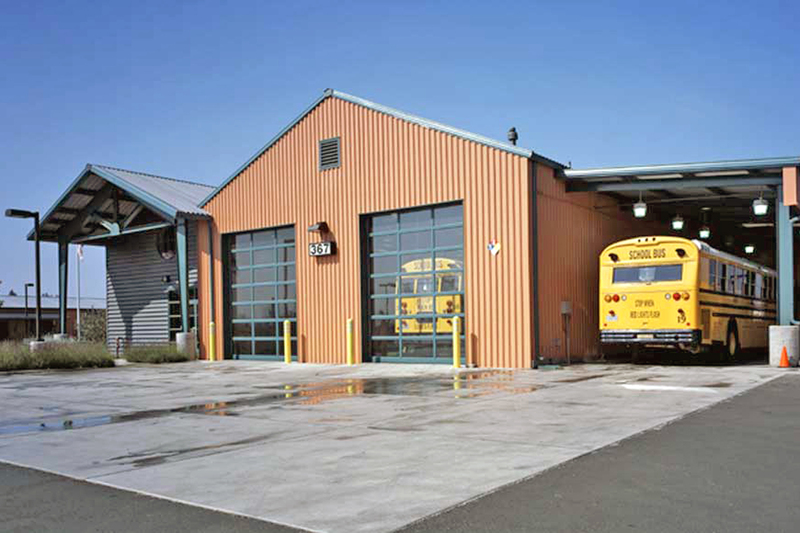 West County Transportation Agency provides school bus transportation for numerous school districts in western Sonoma County. This project will provide administration, maintenance shop and bus parking facilities. The project is being developed as a phased project. 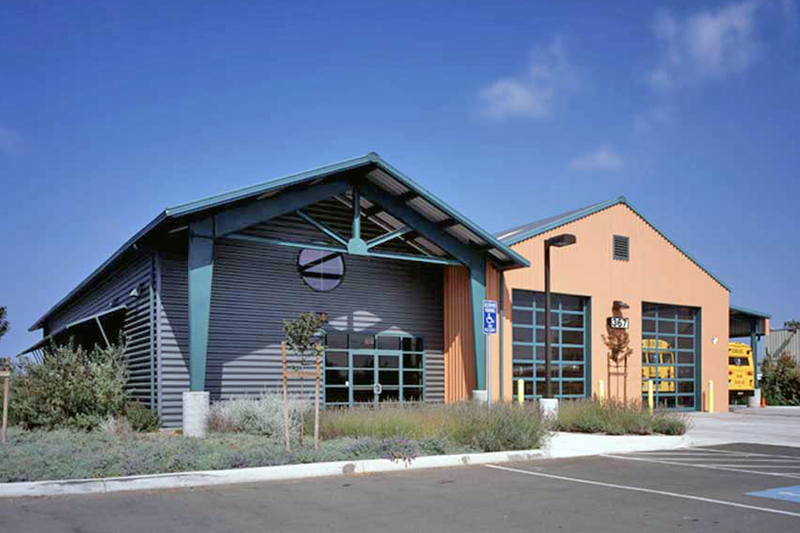 Phase I includes a 4,500 sf administration building which houses the director, business manager, clerks, dispatchers, instructors, operations supervisor, a conference/boardroom, and a classroom/breakroom. Phase II includes a 9,600 sf maintenance shop which contains a lobby, shop supervisor, clerical, restrooms/showers, locker rooms, breakroom, tool room, large parts storage, small parts storage, four automotive repair bays to accommodate 40 ft. long buses, a vehicle wash rack, and parking for 35 buses and 56 automobiles. Phase II allows for four additional repair bays, an automated bus wash system, fuel storage and delivery of gas, diesel and CNG, plus additional site development to accommodate additional bus parking for 72 buses and 79 vans.